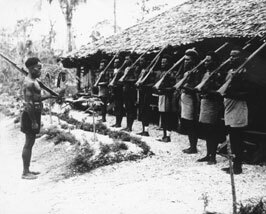 Provisional Guard Mount, Aitape, New Guinea, 1944. 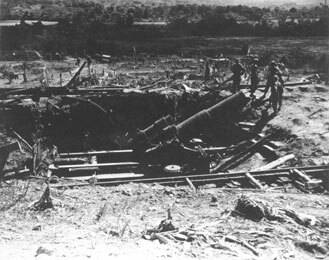 12-inch Jap gun Captured at Rosario, Luzon, P.I. 1945. Mate of Japanese Howitzer discovered by Nellist Team at Lingayen Gulf. 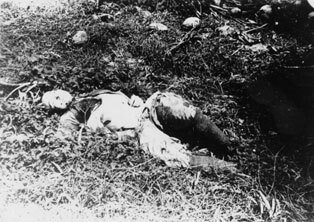 Legaspi, Luzon, 1945. PBY or Catalina Flying Boat (Black Cat). This was the type of boat that dropped off McGowen Team on their first mission on Los Negros Island in Feb 1944. 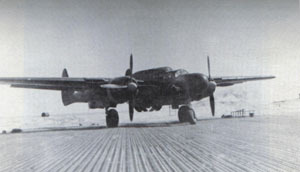 P61 BlackWidow - Planes used to strafe Cabanatuan during and after raid. 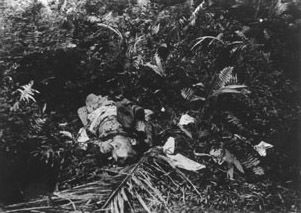 Dead Japanese Soldier - Luzon, P.I. 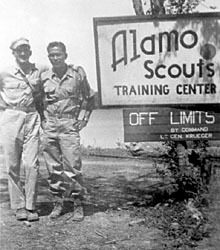 Photo of Mayo Stuntz and Rafael Ileto taken at the ASTC on Luzon, before Ileto left the Scouts for Command and General Staff School at Fort Leavenworth, KS. March 1945. 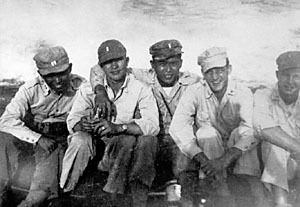 Alamo Scouts on a PT boat from Abuyog to Hinunangan, Leyte, P.I. 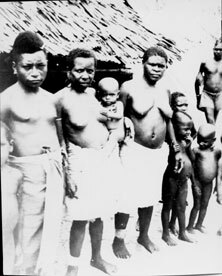 Members of Ileto Team. 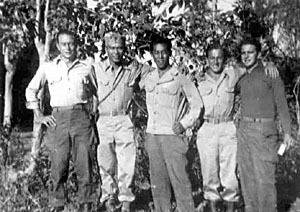 L-R: James Farrow, Rafael Ileto, Frederico Balambao, and Pete Vischansky. They are joined by SSG Leonard Scott (far right). 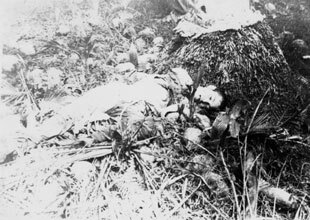 Taken at Calasiao, Pangasinan, Luzon, P.I., Feb 1945. 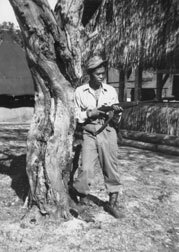 PFC Ralph H. Tuckness. Graduate of the ASTC. 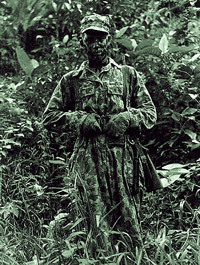 Alamo Scout in camouflage. Jan 1944. 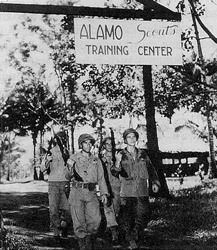 Alamo Scouts pass under the sign to the first Alamo Scouts Training Center, Fergusson Island, New Guinea. Jan 1944. U.S.S. Watchaspreague: The ship that carried Alamo Scout teams during the invasion of Leyte. 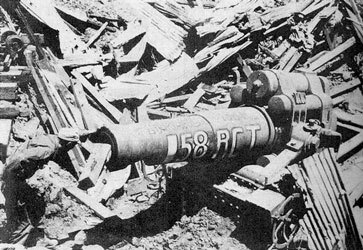 Oct 1944. 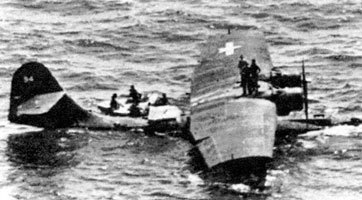 The SS-47: The Submarine that took Thompson and others on the top secret recon of the Vogelkop in the summer of 1944. 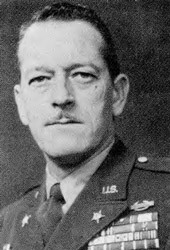 COL Russell Volckmann, leader of Volckmann's Guerillas on northern Luzon. 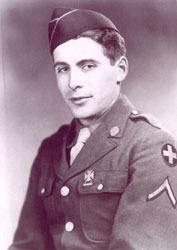 Alamo Scout teams worked in conjunction with Volckmann late in the war. 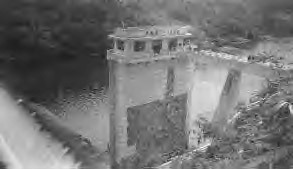 Ipo Dam on Luzon, reconnoitered by CHANLEY TEAM from 2-4 May 1945. Information was supplied to the 43rd Infantry Division and Marking Guerilla Unit, which captured the dam intact on 17 May 1945.